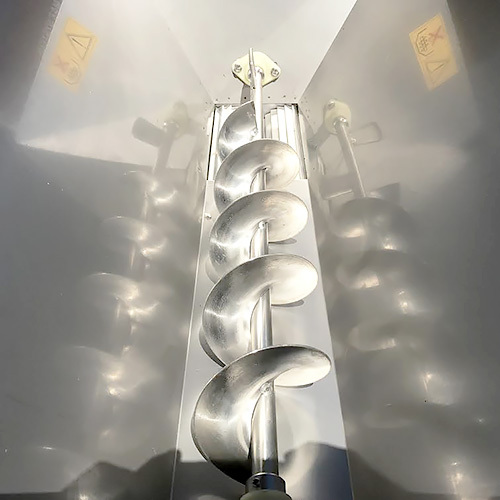 As grape clusters are fed into the hopper on top, a stainless steel auger moves them towards the crusher rollers. The grapes, along with the stems, then drop through the rollers, falling below to where the destemmer basket is located. 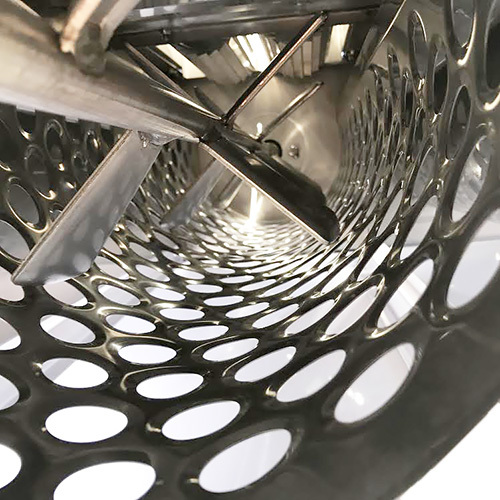 A second auger fit with destemming paddles runs through the middle of the destemming basket then moves stems in the opposite direction of the hopper auger above. The holes in the basket allows grapes to pass through but not the stems. The crushed grapes will drop straight down from under the crusher rollers, while the stems will drop out from the opposite end of the unit, where the destemmer cage ends. We stock a companion stand that may be paired with the grape destemmer crusher. 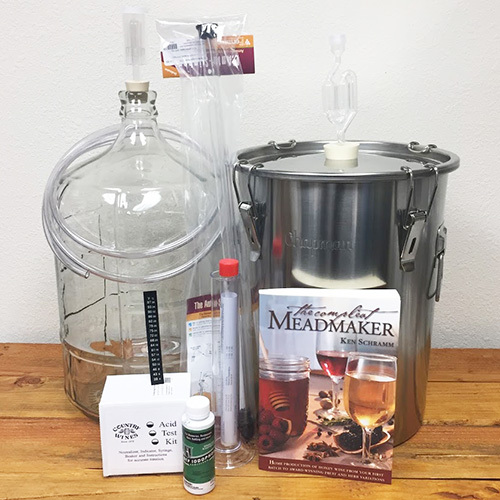 Also, some winemaker will mount the unit on sawhorses, or even directly on top of a sturdy fermentor such as our 32 gallon heavy plastic buckets. 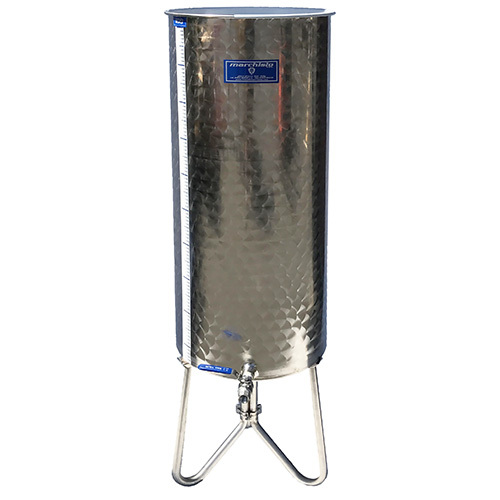 1) 304 Type Stainless Steel Body, Receiving Bin, Screw Feed, and Destemming Basket. 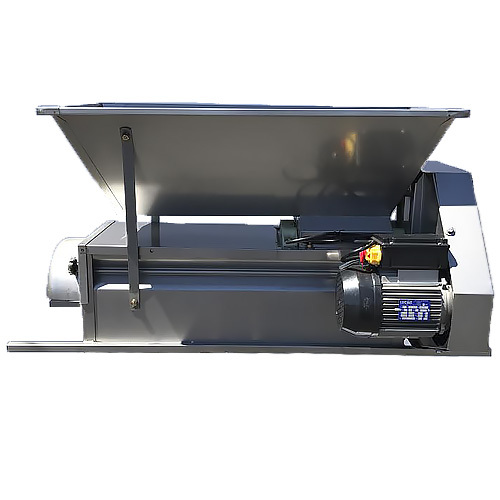 4) A powerful 110V 1HP motor which provides an hourly production of approximately 3000 lbs. 5) Big, Red Emergency stop button on motor shuts down the machine in a hurry to help reduce chance of accident. Overall dimensions: 48 long x 25 wide x 27 high. As the grapes are fed into the hopper on top, a stainless steel auger moves them to the crusher rollers. As the grapes, along with the stems, drop through the rollers, the fall below where the destemmer basket is located. Thought the middle of the destemming basket is installed another auger with destemmer paddles which moves the stems in the opposite direction of the hopper auger. The basket has holes that allow the grapes to pass through, but not the large stems. 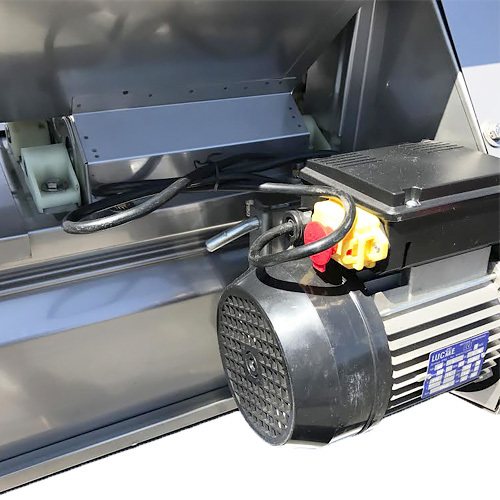 The crushed grapes will drop straight out from under the crusher rollers, while the stems will drop out from the opposite end of the unit, where the destemmer cage ends.